This year was the first time the Price and I did Christmas cards together. You know the ones with photos, the ones where the whole family is dressed in white shirts and jeans sitting on the beach… Well since it’s just us I figured it would be best to have a little fun with the whole thing. I decided we needed a theme, and what theme best describes Christmas and freezing Boston weather…. 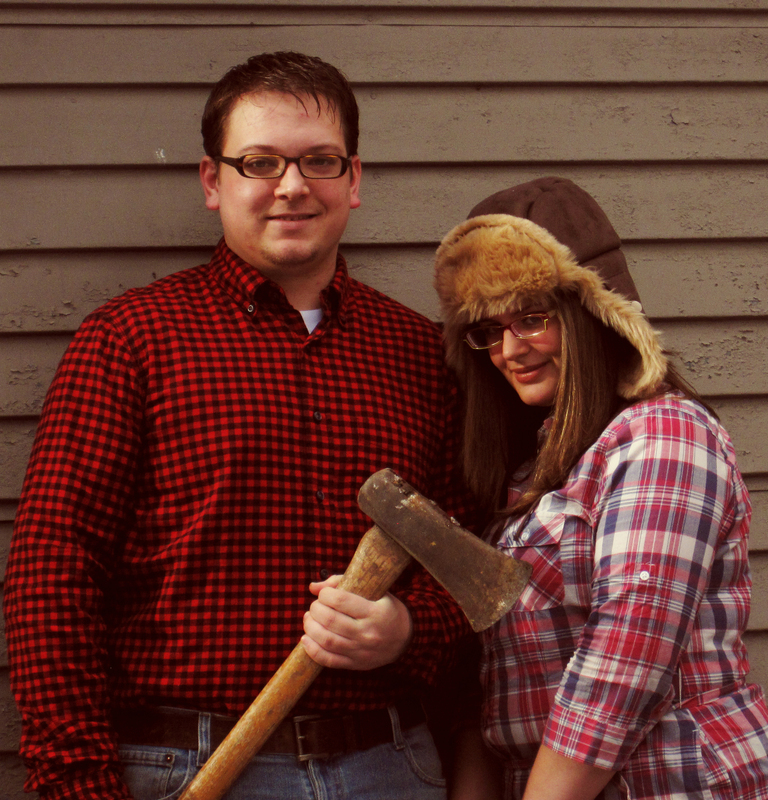 LUMBERJACKS! The folks at Gap also made it their mission to throw as much paid at the general public as possible this season. A few weeks ago when shopping around for Christmas presents Price found the most amazing (he thinks annoying) hat ever! Since buying it I try to wear it whenever possible, even on the ‘warm’ days and it is not really needed. 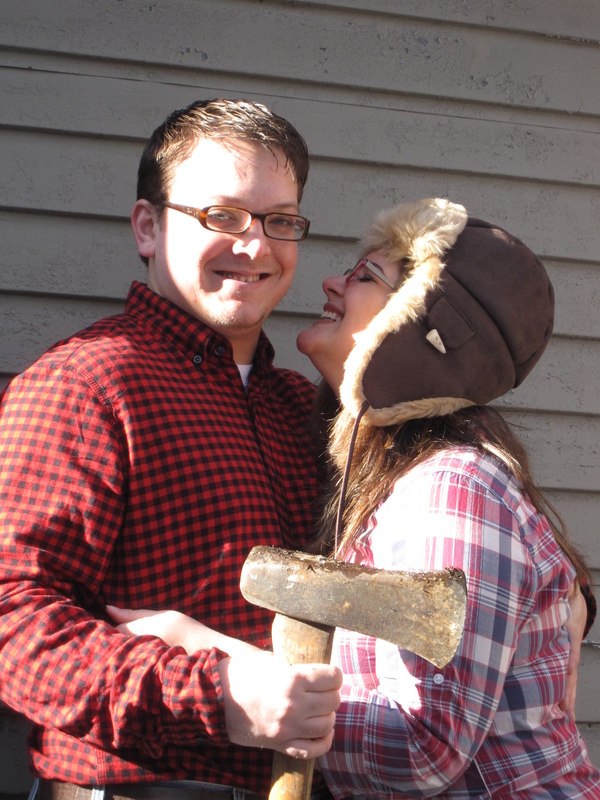 So with hat in hand I had to think of a way of incorporating it into the Christmas card… which is how a theme of lumberjack came about. 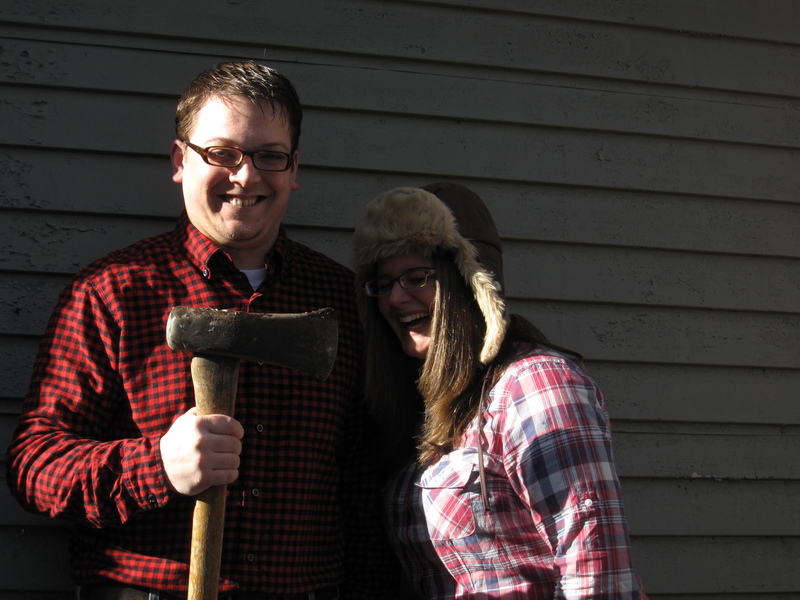 Emily suggested props to make the photo more authentic (and hilarious) which is why there is an ax. 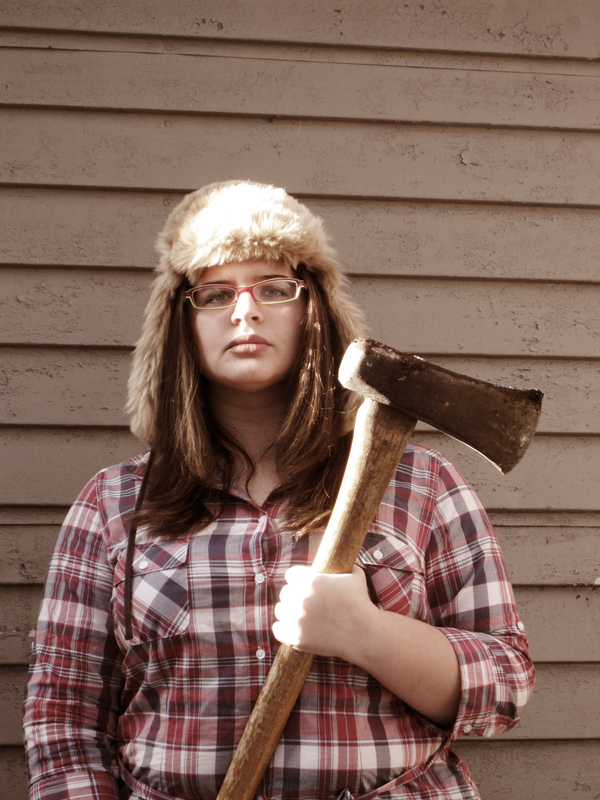 Plus we would just be weirdos wearing plaid, and me with my hat. Photos were adjusted using Maggie Holmes’ Photoshop Actions. Love them! 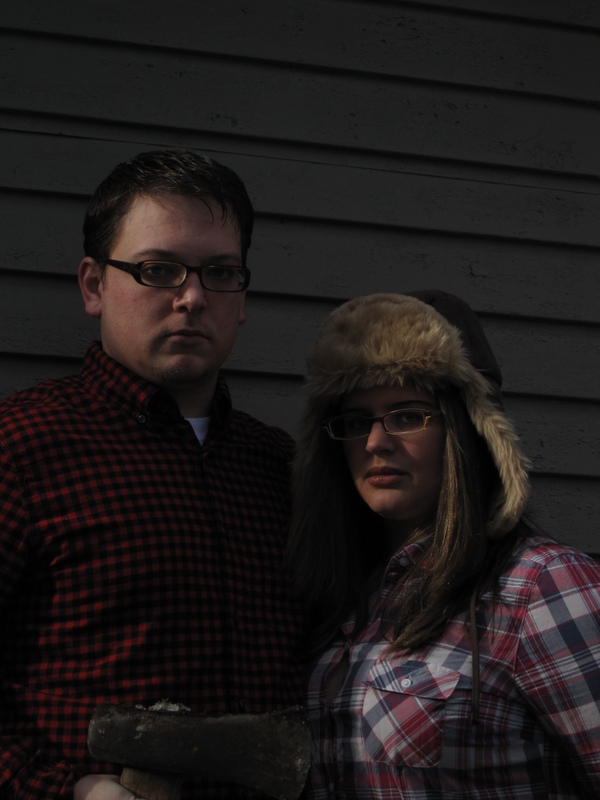 Price totally looks like a backwoods serial killer. I think it is the glasses.